What is a persimmon? It’s actually the fruit of the Diospyros tree and varies in hue from yellow-orange to red-orange. While they look similar in shape to a tomato, their flavor profile resembles dates when ripe. The Asian varieties of persimmons are considered “astringent”, and have high levels of tannins in their fruit that only soften as they ripen. “Non-astringent” persimmons are fairly sweet, even when not completely ripe, with lower levels of tannins in the fruit; the American persimmon, Black persimmon, and Mexican persimmon fall into this category. I was actually hoping that the fruit was going to be astringent, but the persimmon variety I bought (Bouquet) most definitely tasted like dates, with no astringency. 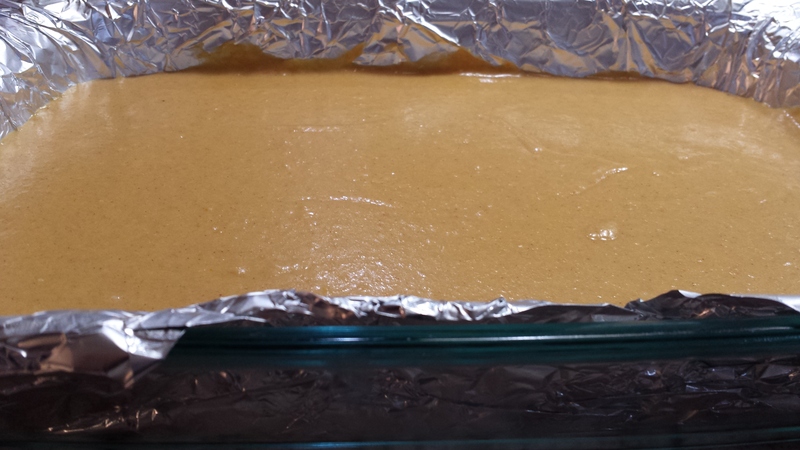 I was thinking lemon bars but with persimmons. Well, that’s kind of what happened here. I was super pleased with the shortbread that served for the crust, and used the persimmons as my sugar for the curd. 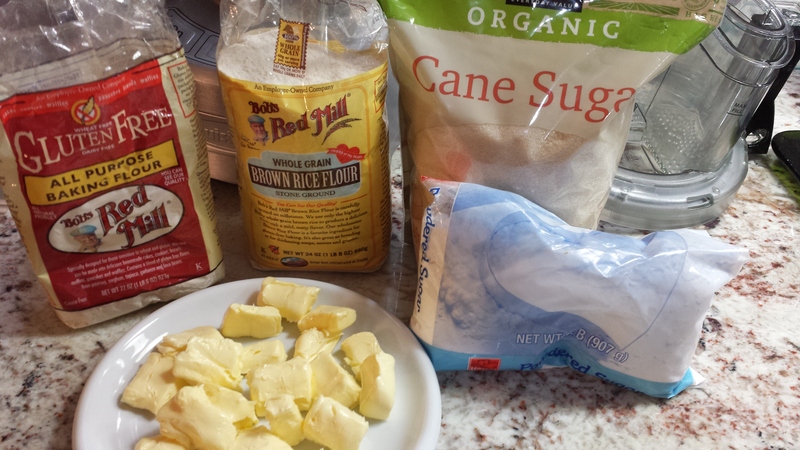 Add the sugars to a food processor and make a fine powder. Add the butter and cream. Then add flour, in 2 additions, until no dry flour is visible. 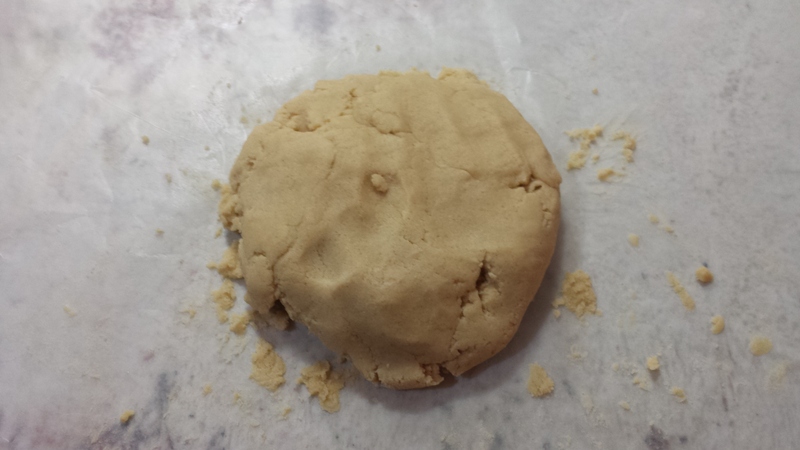 Then, using your hands, knead the dough on wax paper. 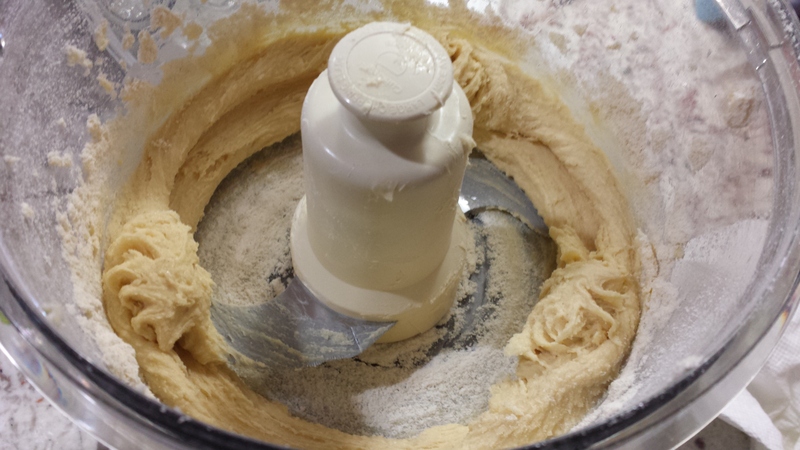 How will you know when you’re done kneading the dough? 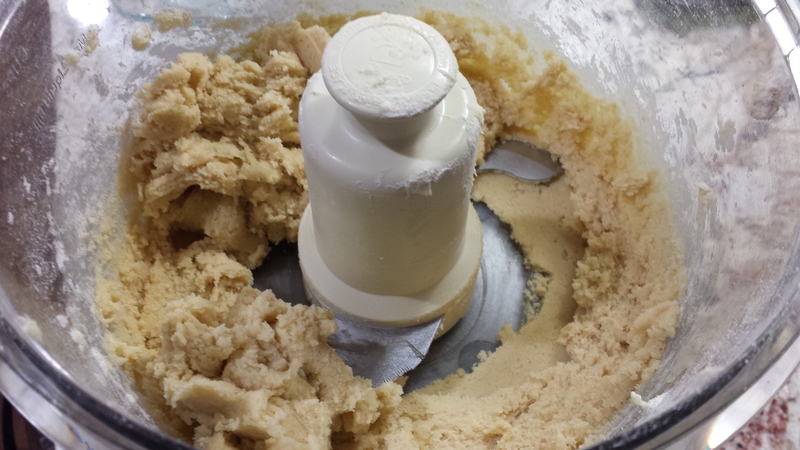 The dough will be smooth and well mixed. 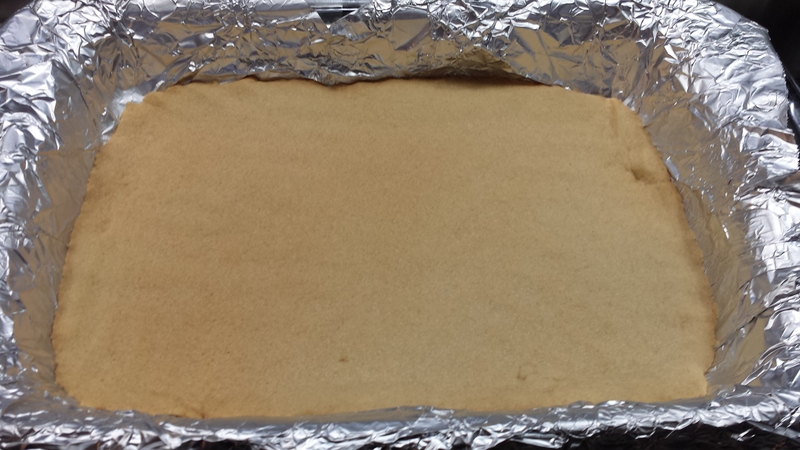 Line a baking pan (13″ x 9″) with aluminum foil. 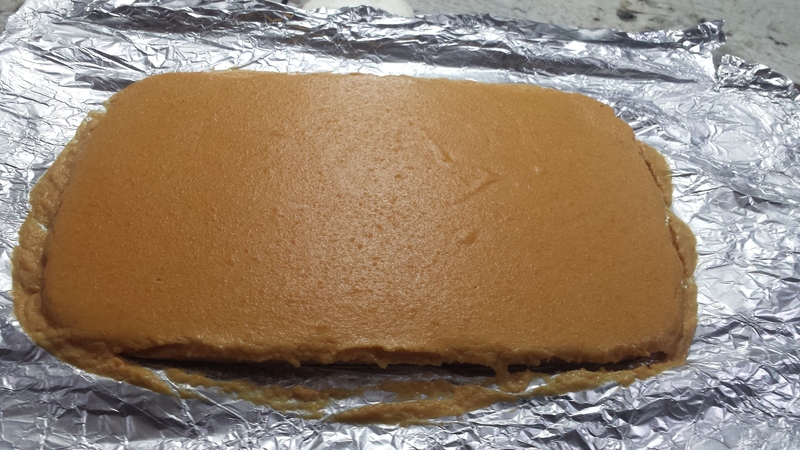 Press the dough into the bottom of the baking pan, trying to ensure consistent thickness throughout. Bake the shortbread for about 35 minutes – until slightly golden, but not browned. Allow the shortbread to cool. 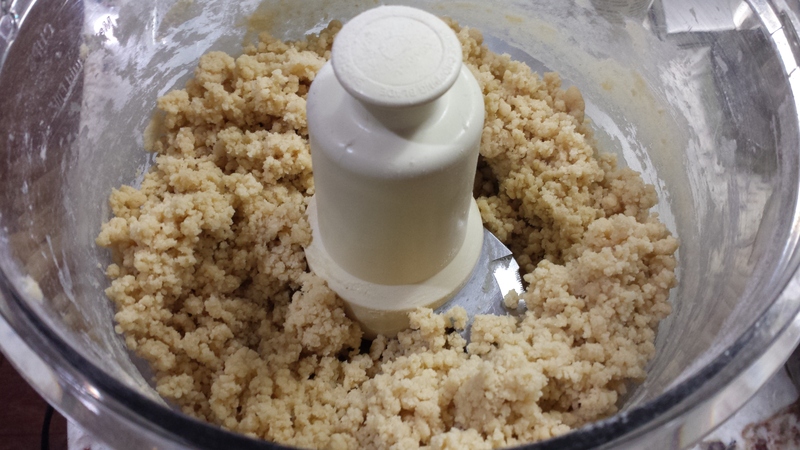 I wanted to speed up the cooling process so I threw the shortbread into the refrigerator while I made the curd. First, zest the oranges and lemons. Then, juice the oranges and lemons. Be sure to juice through a strainer to prevent any pulp in your curd. Next, quarter the persimmons. 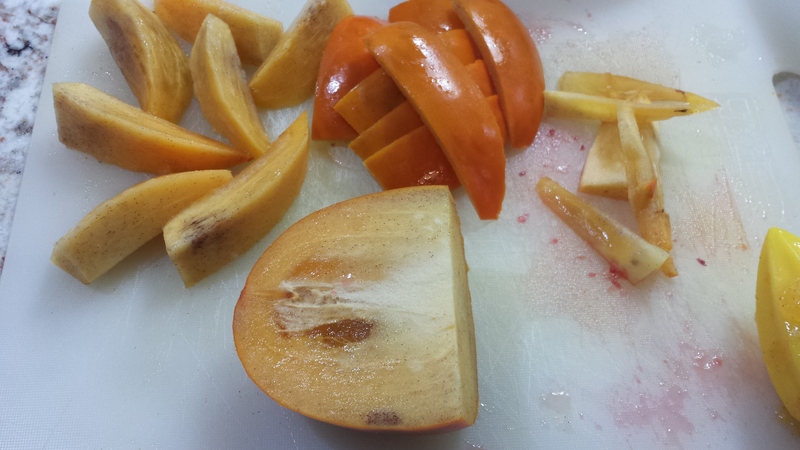 Cut off the peel and clean away the center of the persimmons. The pile on the left is what goes onto the food processor. The middle pile is the peel of the persimmon, and the pile on the right is the center of the persimmon. 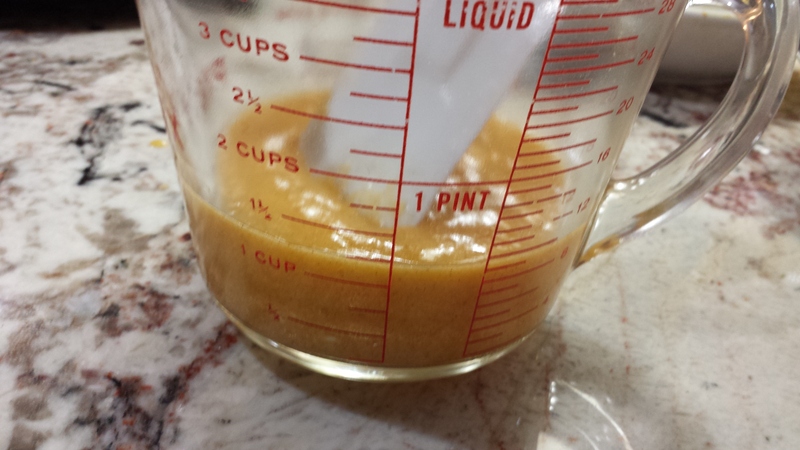 Blend the persimmons in a food processor or blender for 2-3 minutes. The mixture should be velvety smooth. Note, 3 persimmons will make about one cup of persimmon puree. Add the juice and blend. 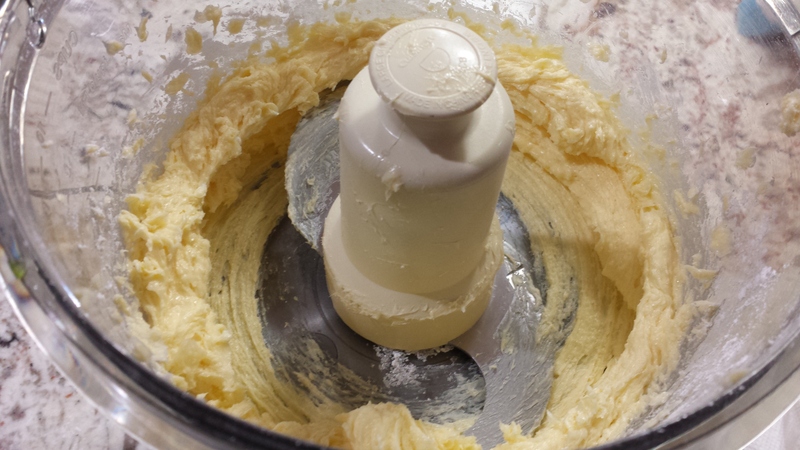 Then add the butter and blend. Next, add the ginger and salt and blend. 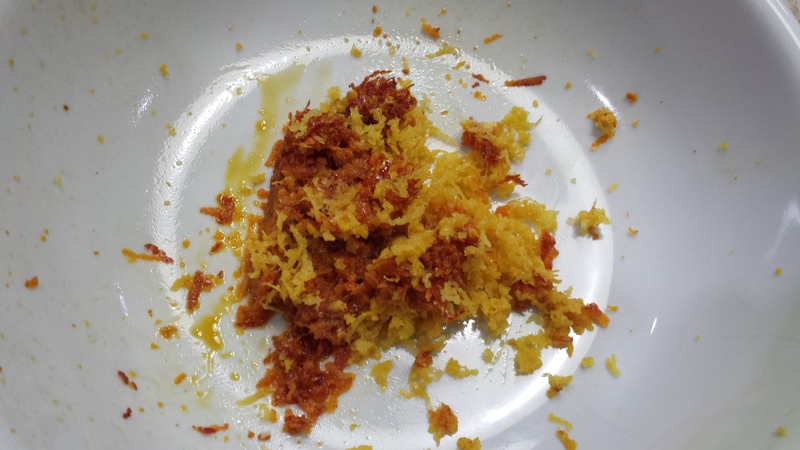 Finally, add the egg yolks and blend. Transfer the mixture from the food processor or blender to a saucepan. Cook on low heat (absolutely no boiling or you will overcook the egg yolks) for about 10 minutes. 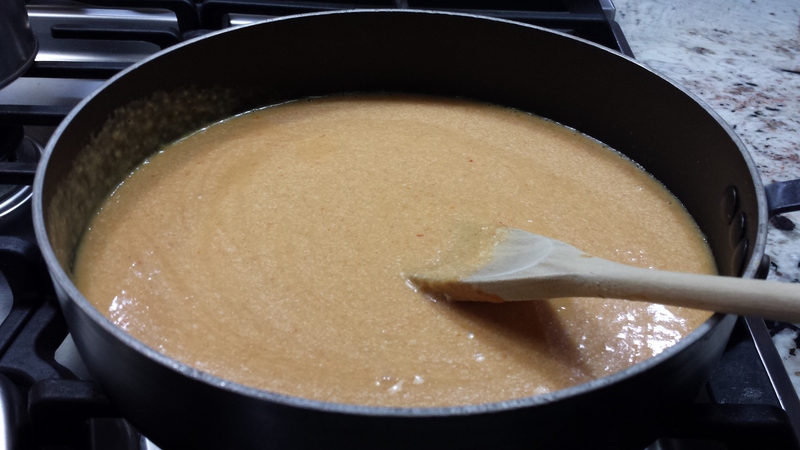 My curd started out as a lovely rose colored mixture, but as it cooked, it lightened in color and thickened. You’ll know it’s done cooking when you can make a streak through the middle of it if you coat the spoon. 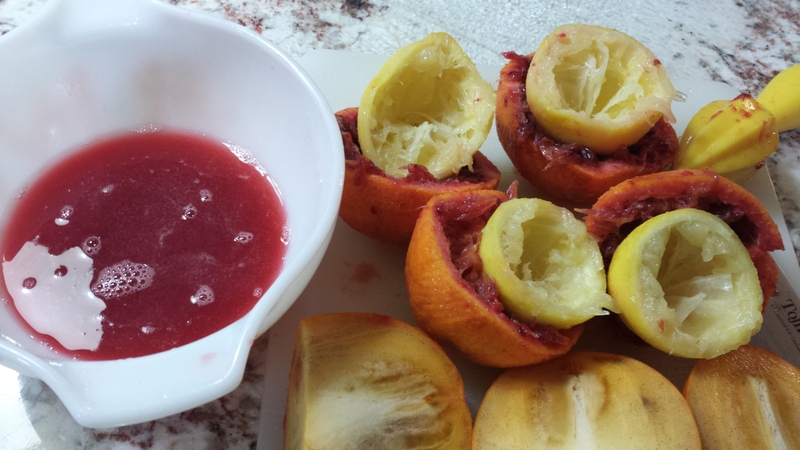 Check out this lemon curd recipe – it has a great photo demonstrating this test for doneness. You can also use a candy thermometer – when it reads 170 degrees F, your curd is cooked. 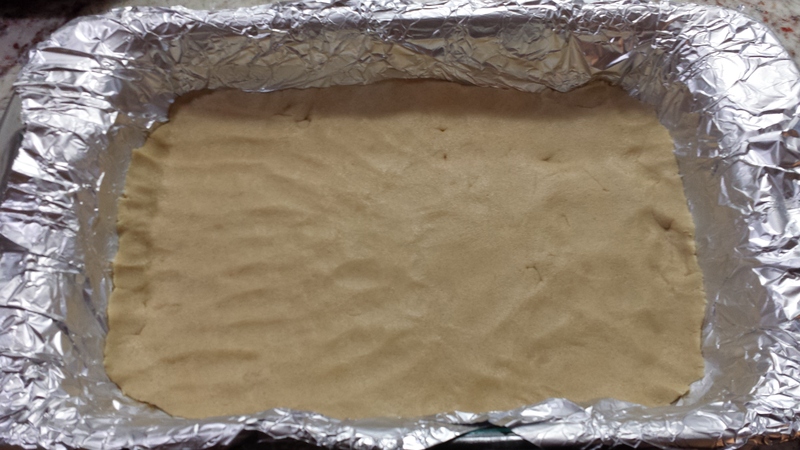 Now, once the curds starts to cool a bit, cover your shortbread. Gently shake the pan from side to side to smooth out the curd topping. Place in the refrigerator overnight to allow the curd topping to set. Once it has set, you simply lift it out of the pan by lifting the aluminum foil from the pan. 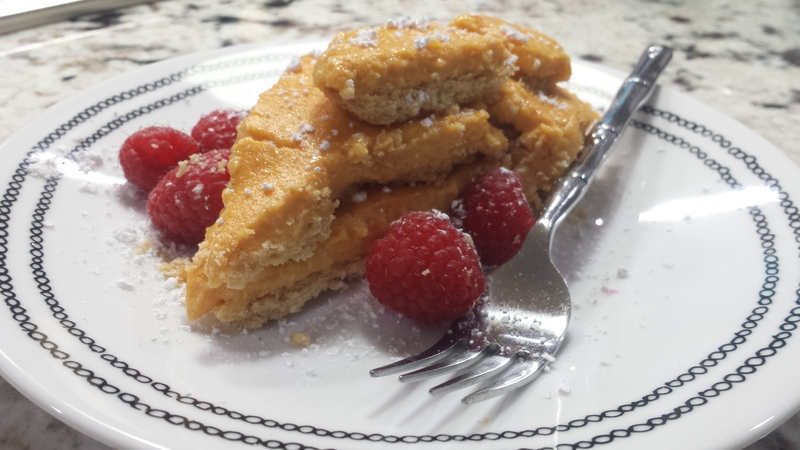 This entry was posted in baked good, dessert, has dairy, has grain and tagged bars, blood orange, curd, egg yolk, gluten free, lemon, persimmon, shortbread. Bookmark the permalink.